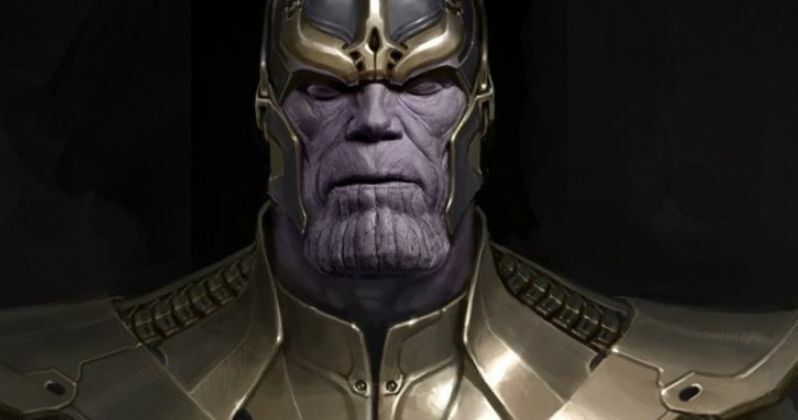 Guardians of the Galaxy Photo Reveals Josh Brolin as Thanos! After Thanos was first revealed during the end credit sequence of Marvel's The Avengers in 2012, many fans were wondering when they might get their next glimpse of the Mad Titan. After a report in May revealed that Josh Brolin is playing this powerful villain in Guardians of the Galaxy, Marvel Studios confirmed the casting at Comic-Con, after the actor took to the stage in Hall H while brandishing the Infinity Gauntlet. With Guardians of the Galaxy's theatrical debut just hours away, we have our first look at Thanos in this Marvel Phase Two adventure, courtesy of Instagram user SkiesTheLimitx92. Take a look at the image below before heading to theaters later tonight for Guardians of the Galaxy preview screenings. Marvel's Guardians of the Galaxy expands the Marvel Cinematic Universe into the cosmos, where brash adventurer Peter Quill finds himself the object of an unrelenting bounty hunt after stealing a mysterious orb coveted by Ronan, a powerful villain with ambitions that threaten the entire universe. To evade the ever-persistent Ronan, Quill is forced into an uneasy truce with a quartet of disparate misfits-Rocket, a gun-toting raccoon, Groot, a tree-like humanoid, the deadly and enigmatic Gamora and the revenge-driven Drax the Destroyer. But when Peter discovers the true power of the orb and the menace it poses to the cosmos, he must do his best to rally his ragtag rivals for a last, desperate stand - with the galaxy's fate in the balance. Marvel's Guardians of the Galaxy is presented by Marvel Studios and stars Chris Pratt, Zoe Saldana, Dave Bautista, Bradley Cooper as the voice of Rocket, Vin Diesel as the voice of Groot, Lee Pace, Michael Rooker, Karen Gillan, Djimon Hounsou with John C. Reilly, Glenn Close as Commander Rael and Benicio Del Toro as The Collector. Distributed by Walt Disney Studios Motion Pictures, the film opens August 1, 2014.